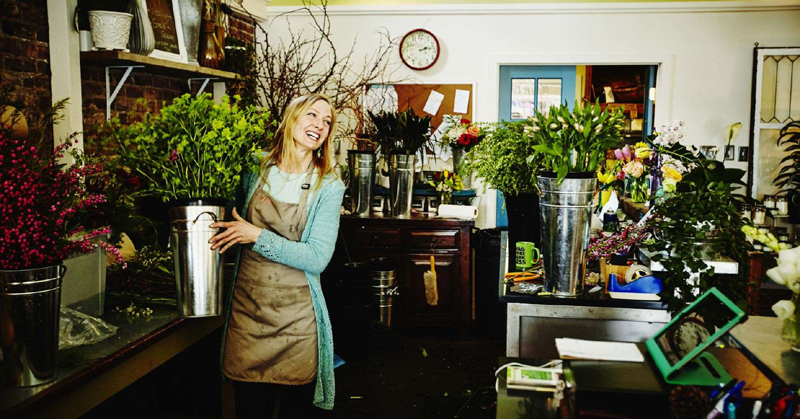 Almost 60 percent of small businesses started with less than $25,0000 and a third started with less than $5,000, a new survey from Kabbage finds, sums that two-thirds of entrepreneurs weren't sure would even be enough start their businesses. Aspiring entrepreneurs take note: You don't need millions from angel investors or venture capitalists to launch your own business. Instead, a small cash pot and the right attitude can get you on the right track. At least that's according to entrepreneurs polled recently by Kabbage, a financial services and data platform serving small businesses. More than half of those polled, or 58 percent, started their businesses with less than $25,000. A third started with less than $5,000. These numbers track with the latest data from the U.S. Census Bureau, which found that the median cost to start or acquire a company is about $25,000. It did find fewer businesses that begin with less than $25,000, only 46 percent, though that could be due to its inclusion of new owners who purchase existing operations as well owner starting from scratch. If $25,000 still seems like a risky sum to launch with, it is. About two-thirds of the entrepreneurs surveyed by Kabbage admitted that they weren't sure they had enough capital to launch. More than 90 percent expected their startup funds to last them less than 18 months, while a quarter of that group calculated an even shorter window of just six months. Of course, the cost to launch a business varies widely by industry. According to the survey, restaurants, medical offices and manufacturing companies were among the most expensive businesses to launch, with the largest shares of entrepreneurs in these fields saying their companies cost more than $100,000 to open. The cheapest businesses to start included those in accounting, online retail, construction and landscaping, according to survey respondents. Around 40 percent of entrepreneurs in these industries said their businesses required $5,000 or less in startup capital during their company's critical first six months. While money is always important, a small business owner's most important resource is often attitude. Luckily, entrepreneurs polled had confidence to spare; 82 percent said they did not question they had the right skills and experience to run their own company. Kabbage surveyed only successful entrepreneurs who had owned their businesses for 10 or more years. Still, that confidence, when combined with cash, can build momentum for entrepreneurs. As Kabbage's head of lending Rob Rosenblatt said in a statement: Entrepreneurs' "tenacity and self-confidence" to succeed "champions their doubts and compels them to start the amazing journey of entrepreneurship."